There are various reasons because of which a person plans to cancel the health insurance. 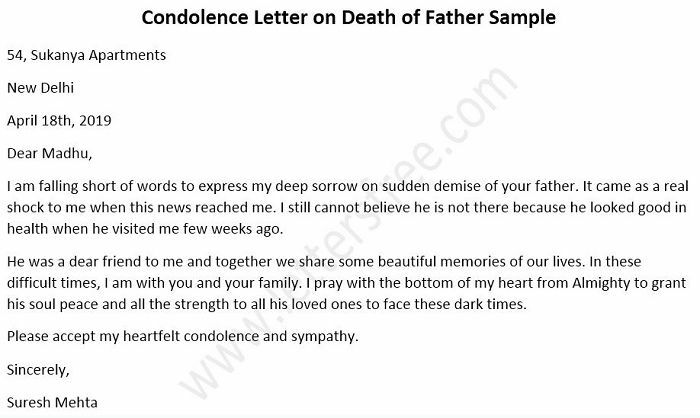 And to do that a formal Health Insurance Cancellation Letter has to be submitted to the insurance company. This letter to cancel an insurance policy has to be short and well framed one. 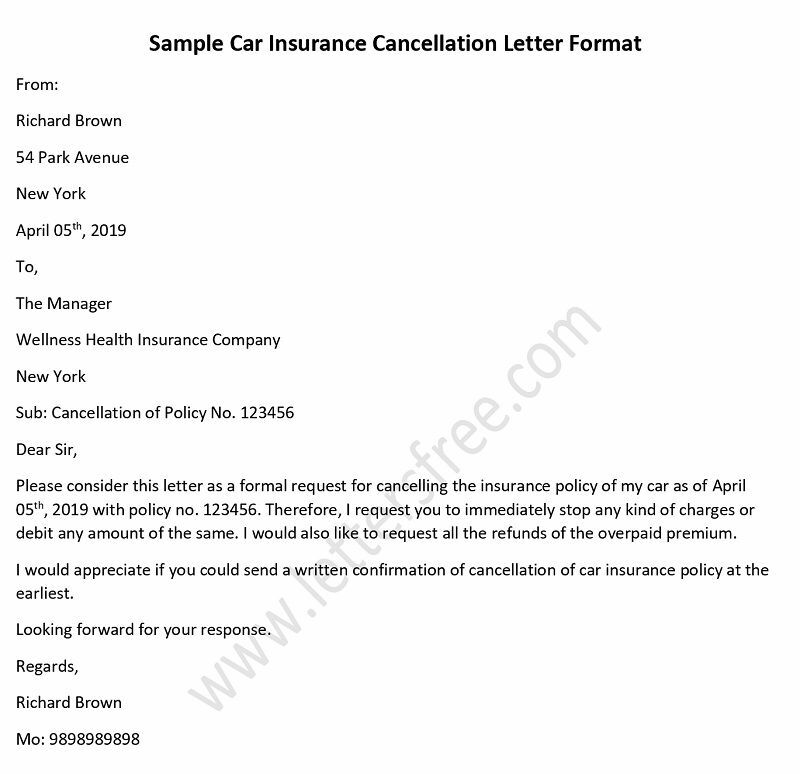 If you know how to write a Health Insurance Cancellation Letter then here is a sample insurance cancellation letter. 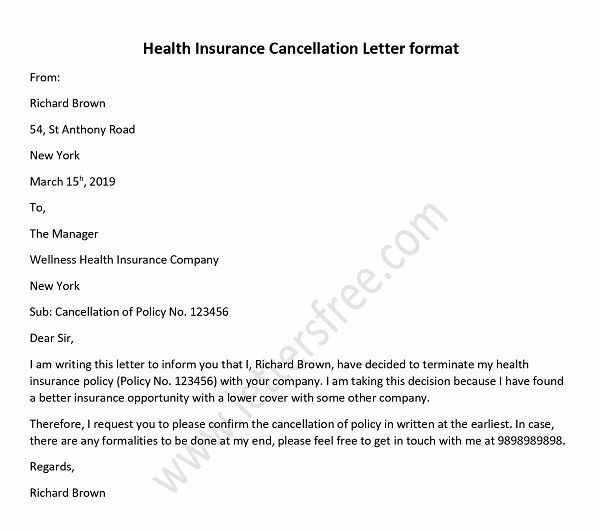 Follow this Health insurance Cancellation Letter sample to create your own. 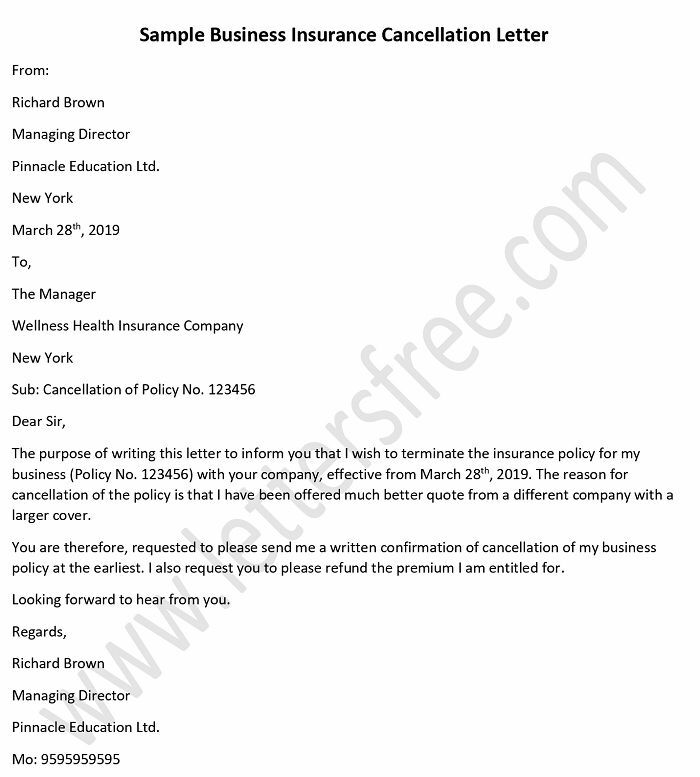 Keep this example Health Insurance Cancellation Letter as basis to have a personalized draft. Keep the letter short and precise. Include the name of the policy holder and the policy number in your letter. You can also include the reason for terminating the policy. Don’t forget to include your address and contact details. I am writing this letter to inform you that I, Richard Brown, have decided to terminate my health insurance policy (Policy No. 123456) with your company. I am taking this decision because I have found a better insurance opportunity with a lower cover with some other company. Therefore, I request you to please confirm the cancellation of policy in written at the earliest. In case, there are any formalities to be done at my end, please feel free to get in touch with me at 9898989898.